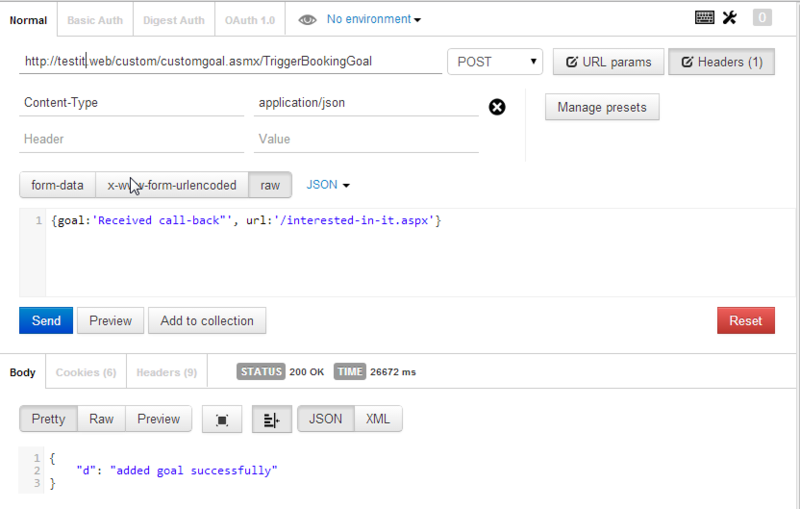 This article demonstrates a way of asynchronously triggering a Sitecore Analytics goal using Jquery Ajax and ASMX web services. This also demonstrates PostMan, a chrome REST client, that makes AJAX development much easier. 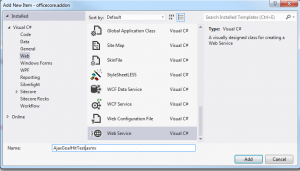 Note: Content-Type must be specified in the JQuery Ajax call! Next step is to add a web service in Visual studio and make sure the [System.Web.Script.Services.ScriptService] attribute is in place, as it is commented out by default. The code that I have used for the server side .Net web service is below. Note the attributes on the webmethod and the scriptmethod. So now it’s time to hit the button (div in this case) and debug it.